Debut author Justin A. Reynolds delivers a hilarious and heartfelt novel about the choices we make, the people we choose, and the moments that make a life worth reliving. Perfect for fans of Nicola Yoon and John Green. Justin A. Reynolds has been a pest control operator, night security guard, steel mill janitor, NASA intern, salesman of high-end faucet fixtures, and carpetflooring installer. He was most recently a registered nurse before trading his stethoscope for a pencil, but he likes to think both instruments reveal the heart. He lives in northeast Ohio, home to snow, Lake Erie, and the Cavaliers. 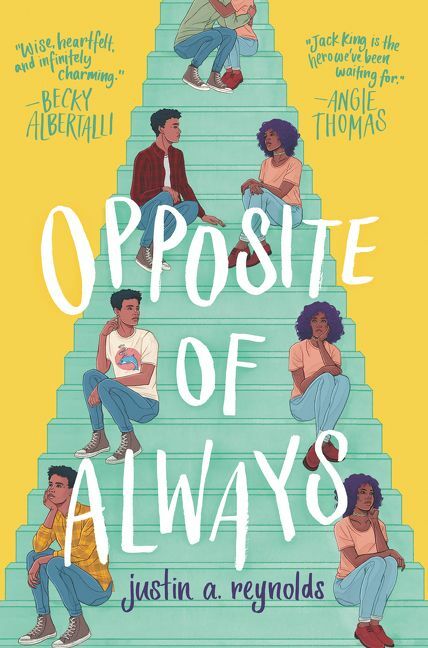 Opposite of Always is his first novel. You can visit Justin at www.justinareynolds.com.